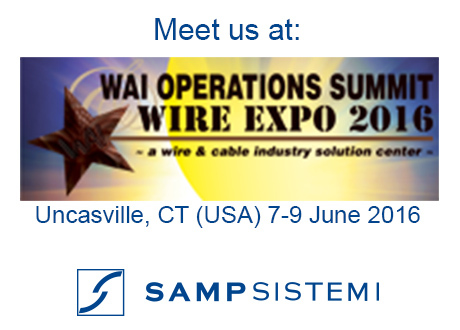 We are glad to be Bronze Sponsor of the Wai Operations Summit & Wire Expo 2016 (June 7-9, 2016). We look forward to meeting you and share the latest news concerning new developments, investments and more! Click here to know more about the Wai Operations Summit & Wire Expo 2016!